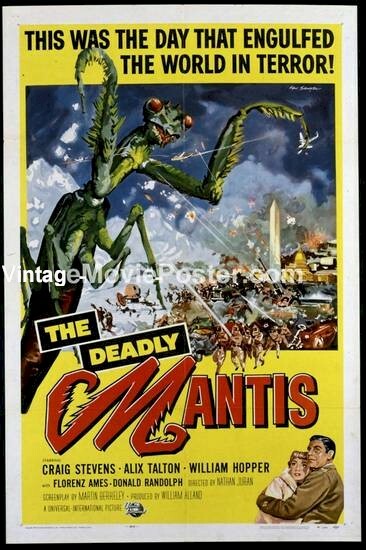 1957 - Spectacular ORIGINAL Vintage One Sheet from this 50's "large insect" horror classic. Stunning vintage artwork! Excellent + condition. A real beauty! The nicest we have seen. 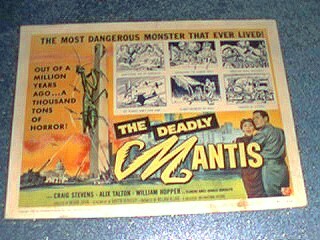 1957 - The original Title Card (11x14) for this giant bug classic! Very good condition with some minor tape stains on lower border..
1957 - The besy card of the set!!! 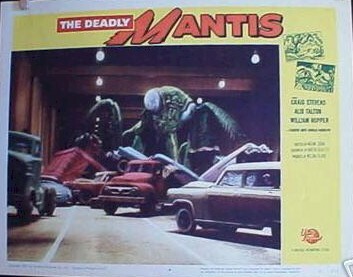 A close-up of the monster crushing the classic cars of the 50's.